What is it? 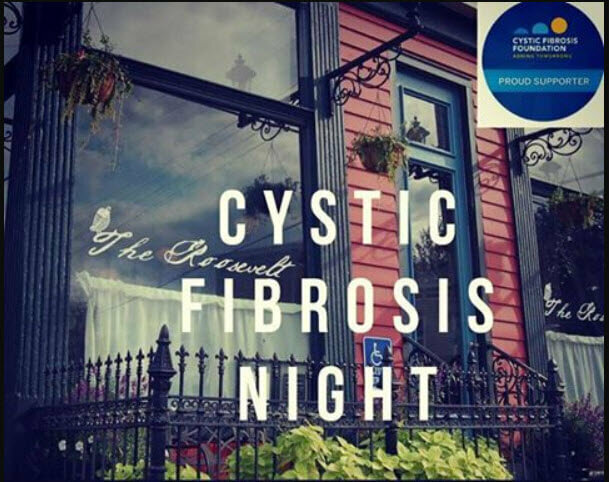 The Roosevelt is donating 15% of all proceeds to support the Cystic Fibrosis Foundation. Check Travis’ personal page for people to buy tickets off of or donate towards. Also set your calendars up for the 2019 Brewer’s Ball on Thursday June 27. 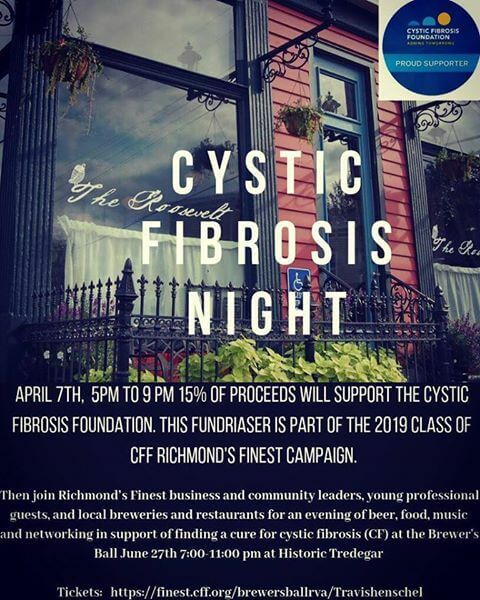 Benjamin Butterworth it will be for normal dinner and drinks; however 15% of proceeds will support fighting Cystic Fibrosis!